A private equity frim wanted Infomineo to assess the market with a focus on Low Unit Packs (LUP) brands within the cream cracker sector. 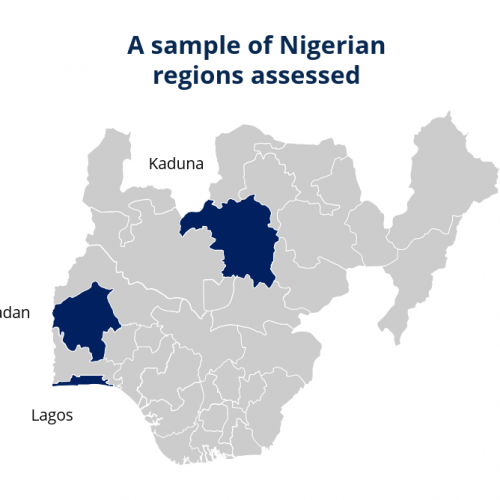 This market assessment was to encompass various regions of Nigeria. The client wanted to specifically investigate the ability of a cream cracker producer to double sales between the next 3 to 5 years. The private equity firm decided to turn to Infomineo’s secondary and primary research capabilities and expertise in the region to provide it’s client with insights on the possibility of profit growth. The manner in which the client leveraged Infomineo’s research service was to evaluate all players in the sector value chain, including manufacturers, distributors, retailers and finally consumers to have a better understanding of the market capacity. The coverage encapsulated various regions of Nigeria. This project included due diligence across all brands in the field. By leveraging Infomineo’s consulting methodologies, research execution, language skills, and design capacities the private equity firm, quickly was provided with the information and insights to investigate the ability of a cream cracker producer to double sales between the next 3 to 5 years. The methodology was to collect publicly available information from company websites and press releases, industry reports, open databases as well as Infomineo databases to be synthesized. Primary research was also conducted, including physical visits, email and phone call interviews, as well as focus group sessions. With these two together, Infomineo was able to triangulate and estimate an overall biscuit industry capacity expansion as well as unmet demand for particular biscuit brands. The private equity firm was impressed with the level of insights provided and appreciated the thorough due diligence and market assessments performed within this specific fast-moving consumer good sector. After finalizing the project private equity firm used the customized data and analysis to allow them to make business decisions and develop their activity.